The most common way to make chocolates and confections is to use pre-made silicone molds, which are filled with molten chocolate and cooled. By designing and 3D printing molds, it’s possible to add a level of detail and customization that was previously only available to skilled artisans. The tools and techniques for creating 3D printed food molds are easy to master, and the results are often stunning. Molds for chocolate, candy, and other types of confectionary must be food safe, flexible, and, ideally, reuseable. 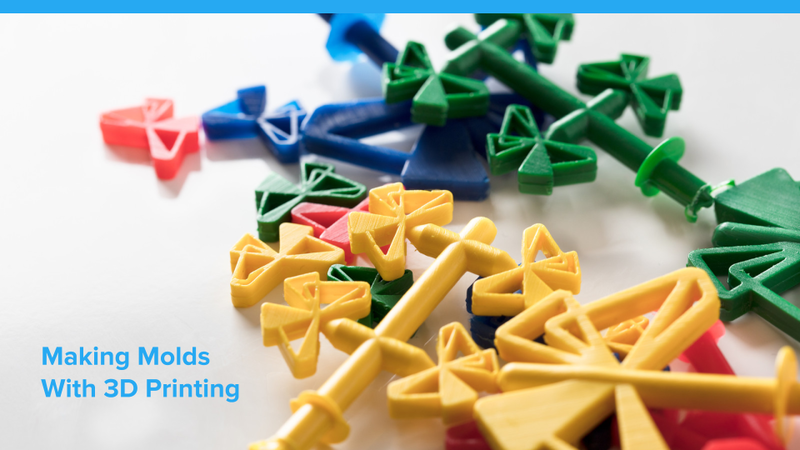 While prints made from Formlabs resins aren’t suitable for directly molding foods, the Form 2 is the perfect tool to create mold negatives, which can be vacuum formed using food-safe plastic. Vacuum forming is a type of thermoforming, a moldmaking process where a plastic sheet is heated over a mold, then cooled to hold its shape. Learn more about a variety of techniques for moldmaking with desktop 3D printing, including thermoforming. 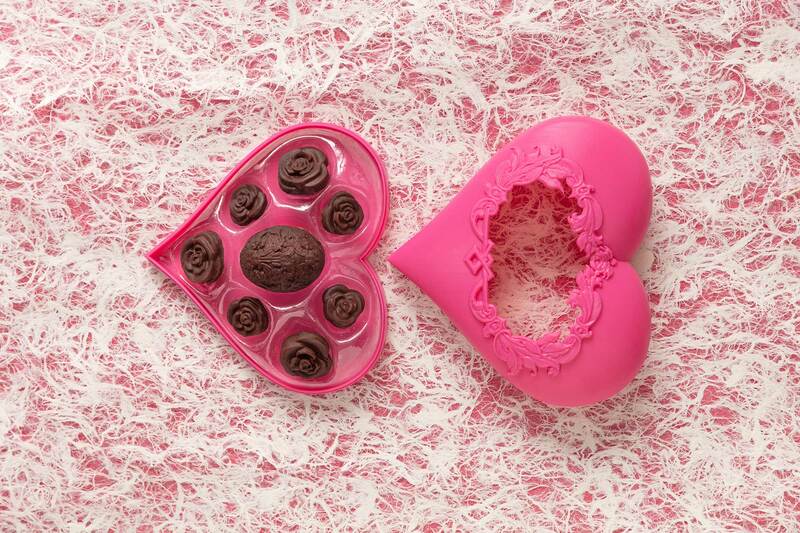 With 3D printing and vacuum forming, you can make your own intricate chocolates. The first step is to design the mold. For our Valentine’s Day-themed chocolates, we’re molding two designs: a flower and an ornate egg. You can use almost any model, so long as it has a flat surface that can sit flush with the a vacuum forming machine. Vacuum forming is a process where a plastic film is heated and pulled against a mold by a vacuum. The most successful models won't have undercuts, which can trap the mold in the vacuum forming sheet. If you’re not an experienced CAD user, lithoforms are a great way to easily create 3D models from 2D images that you or your customers can design. If there are concave regions in your model, printing or drilling 1 mm holes at the lowest point in the region will help the vacuum forming process pick up the most possible detail from your print. Print the mold in a rigid material. 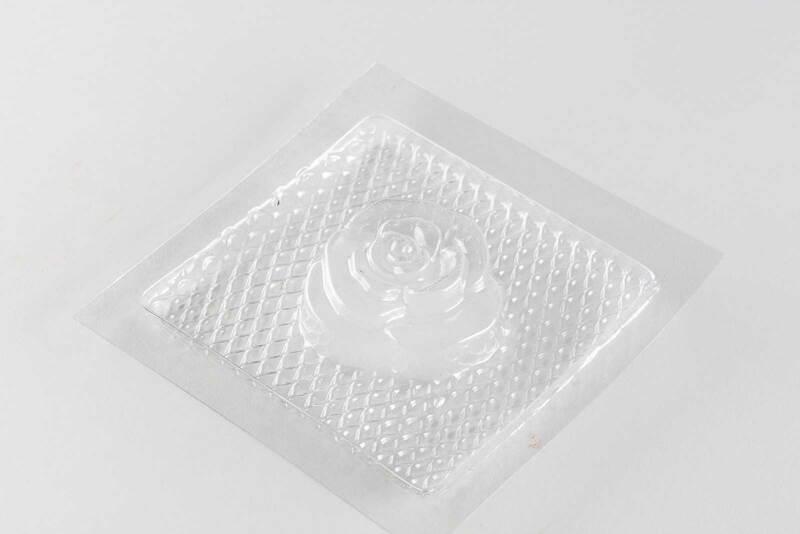 Formlabs High Temp Resin is ideal for printing vacuum form molds; it will not deform or degrade with exposure to heated plastic, even after multiple uses. Standard Resin will also work, though it may degrade over time if used repeatedly. Curious about High Temp Resin, but haven’t tried it out yet? Request a free sample. Vacuum form the mold using food safe plastic such as high-density polyethylene (HDPE). For the mold to be flexible, the plastic sheet should be around .01 in thick. There are many options for thermoforming machines, ranging from cheap and small, to large units with a lot of space. Vacuum form the mold using food safe plastic such as high-density polyethylene (HDPE). If your goal is to create a reusable mold rather than a unique one-off, you can easily increase the size of your batches by vacuum forming multiple prints simultaneously to make a large multi-mold tray. Wash the mold with soap and water. Wiping the interior surface of the mold with a small amount of canola oil will help clean it of any debris, and help the chocolate release from the mold. Temper the chocolate and pour it slowly into the plastic shell. While the chocolate is still liquid, tap the mold lightly on a table to give the open tops a flat surface. Place the chocolate in the refrigerator to cool and harden. Carefully remove the chocolate by flexing the mold. Use gloves when handling chocolates to avoid melting them. We used the Form 2 to 3D print a custom box for our chocolates, using red colored resin that we dyed. 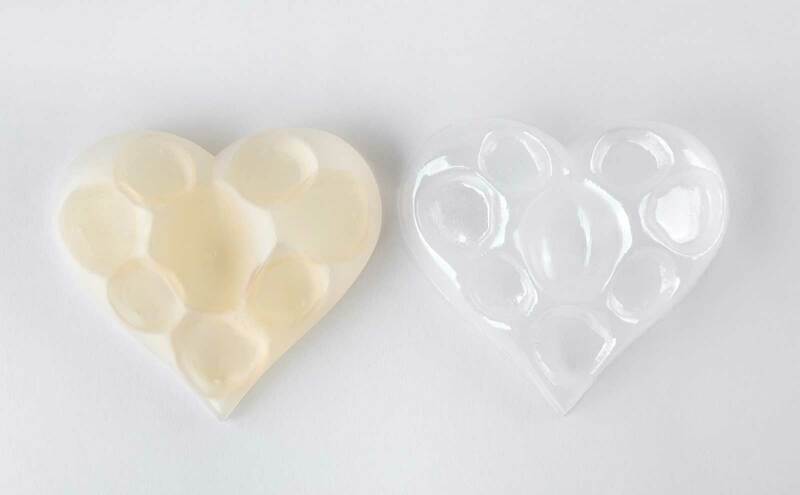 You can also use 3D printed thermoform molds to make customized packaging trays, as well as other products, like artisanal soaps, which can be poured and solidify at room temperature. We used the Form 2 to print this Valentine’s box using red colored resin, and printed another thermoform mold for the plastic tray that holds each chocolate in place.